Hookah industry is constantly growing. We see more and more new and interesting products that make life easier. Like every other industry all the new products strive to make an experience better. Today we will discuss an essential question when it comes to hookah smoking. Our topic is what are the best hookah heads? In recent years we have seen many radical and new designs of hookah heads. With an introduction of dedicated heat management systems new ways of enjoying Shisha emerged. Previously, hookah bowls were made out of ceramic or clay. Today we have products that are made of glass, silicone, white clay, even metal. With all the variety and different designs the question arise. What is the best head for everyday and commercial use? Mojo Hookah Lounge has wide variety of option when it comes to hookah heads. We mostly use Vitria II and Upgrade Form heads due to their reliability and consistent results. You can never go wrong with these 2 bowls for your hookah lounge or even in-home use. Of course, we offer different other options like HookahJohn, SmokeLab, Tortuga, and etc. We encourage you to try them all and let us know what is the best head you have ever tried. 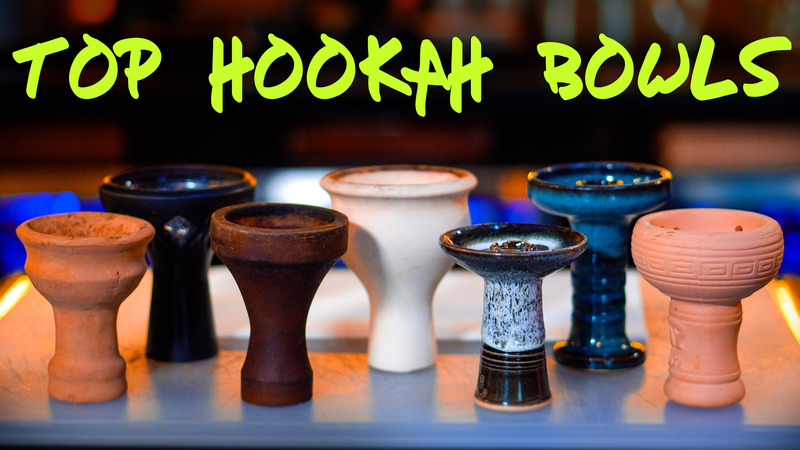 Most of the hookah bowls come either in funnel style or regular bowl style. Vitria, HookahJohn, and a lot of other hookah bowl manufacturers utilize funnel style due to its simplicity and potential to hold hookah juices in the bowl. These type of bowls are good for any tobacco as long as it is properly laid out inside of the bowl. UpgradeForm, Tortuga, SmokeLab mostly utilize classic hookah bowl layout with 4-6 holes in the base. This creates even heating of the tobacco and enhances the flavor. Materials that are used in the production of hookah bowls vary from material, finish, and style. Clay is best for stronger tobaccos due to its heat distribution qualities. Usually bowls that are made out of clay has superb heat up time and evenly heats up the tobacco inside of the bowl. In our hookah lounge we utilize them for tobaccos such as Tangiers, Lavoo, or any strong tobacco. These tobaccos work like a charm in these bowls and add strength to the flavor as well as the buzz sensation. Glass bowls were introduced with all glass design hookahs. They had a pretty good run for its time however the construction of these type of bowls usually overheats the tobacco since glass can get pretty hot. Silicone bowls were introduced recently and instantly caught up in the hype due to its qualities that prevent overheating of the tobacco. We recommend silicone bowls for tobaccos such as Fumari, Starbuzz, Haze, or any tobacco that is smooth and flavorful. Silicone works best with dedicated heat management systems since they were designed for the heat management units. General rule is if you are smoking stronger tobaccos and want to get a sensation or relaxation, clay or ceramic bowls are the way to go. If flavor and smoothness is the main purpose when it comes to hookah smoking silicone bowls would do fine. Just remember that cheaper or counterfeit heads usually do not go through the quality check as thorough as the original, authentic bowls. Feel free to come to our hookah lounge at 6353 yucca St, Los Angeles, California 90028 to try different bowls. We are always waiting for you and highly appreciate your feedback!